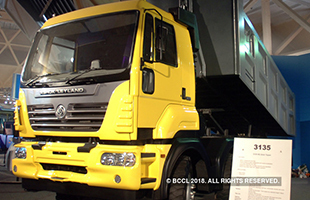 Ashok Leyland has been extremely popular commercial vehicle maker in India and recent sales figures show a surge in the sales rate for the month of April by 79 per cent with a hike in figures from 7090 units in April 2017 to 12677 units in April 2018. The light commercial vehicle segment saw a hike of 45% with sale of 3709 units this month as compared to 2558 units last year same month. On the other hand the medium and heavy commercial vehicles witness a greater increase of sales rate of 98% by selling 8,968 units this April as compared to 4,532 units last year.